Thank you for choosing High Speed Door Servo Control System. Please read this manual carefully before you start to use the system. In this manual you will find instructions for how to set the operating code the control unit, malfunction diagnostics and debugging, and routine maintenance. Ø Before connecting the system to live wire place make sure the power supply is off. Ø Please make sure the power voltage in the main circuit is the some as controller’s rated voltage. Also please make sure the ground terminal is properly and reliably connect to the ground wire. Ø DO NOT touch output terminal directly. DO NOT shot circuit the output terminal and out shell. Ø After the power supply is cut, and before the LCD is off, there still high voltage electricity in the circuit, so DO NOT touch the internal wiring and electronic components. Ø Internal wiring and electronic components are very sensitivity to static electricity, so DO NOT let any object contact the internal wiring and electronic components of motor driver and the main circuit of the touch control panel. All product has passed inspection and testing before is leaving the factory. When you open the unit place make sure there is no damager during shipping. Also to confirm the equipment ratings are matching your requirement. 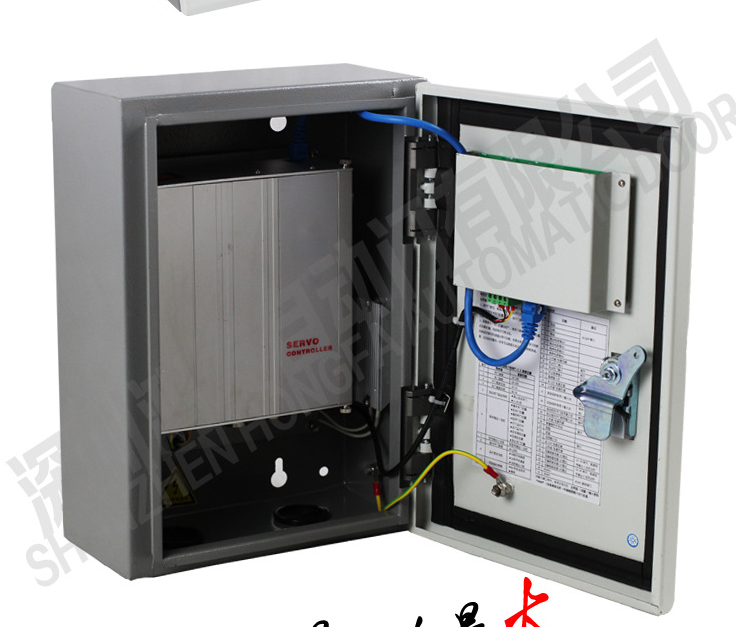 Our servo control system is suitable for high speed PVC and aluminum doors. 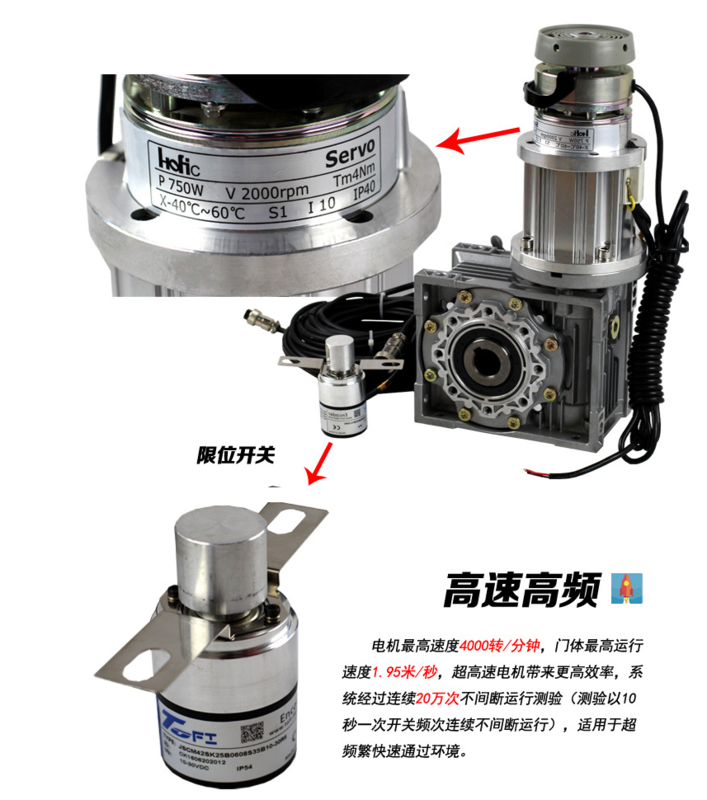 The system is in compact package, with high torque and high operating speed, lower noise, high reliability, smooth and soft operating curves, it’s suitable for high speed and intensive usage environment. The rolling curtain can be controlled by wall switch, push button, bluetooth, radar, safety edge, photo eye, induction loops, etc.